Christianity has a long history in Iran, dating back to the early years of the faith. It has been practiced in Iran longer than the state religion, Islam. It has always been a minority religion, with the majority state religions — Zoroastrianism before the Islamic conquest, Sunni Islam in the Middle Ages and Shia Islam in modern times — though it had a much larger representation in the past than it does today. Christians of Iran have played a significant part in the history of Christian mission. Today, there are at least 600 churches for 300,000 - 370,000 Christians in Iran. 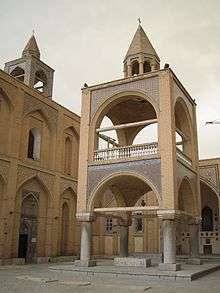 The Armenian Orthodox Vank Cathedral of Isfahan is a relic of the Safavid era. A number of Christian denominations are represented in Iran. Many members of the larger, older churches belong to minority ethnic groups – the Armenians – and Assyrians having their own distinctive culture and language. The members of the newer, smaller churches are drawn both from the traditionally Christian ethnic minorities and converts from non-Christian background. and the Anglican Diocese of Iran. According to Operation World, there are between 7,000 and 15,000 members and adherents of the various Protestant, Evangelical and other minority churches in Iran, though these numbers are particularly difficult to verify under the current political circumstances. The International Religious Freedom Report 2004 by the U.S. State Department quotes a somewhat higher total number of 300,000 Christians in Iran, and states the majority of whom are ethnic Armenians followed by ethnic Assyrians. The "Country Information and Guidance: Christians and Christian Converts, Iran" report published in December 2014 by the Home Office of the United Kingdom states there are 370,000 Christians in Iran. Qara Kelissa, West Azarbaijan. Believed by some to have been first built in 66 AD by Saint Jude. Local Armenians believe that he and Simon were both buried here. In 1329, the church was reconstructed after an earthquake destroyed the structure in 1319. According to acts 2:9 in the Acts of the Apostles there were Persians, Parthians and Medes among the very first new Christian converts at Pentecost. Since then there has been a continuous presence of Christians in Iran. 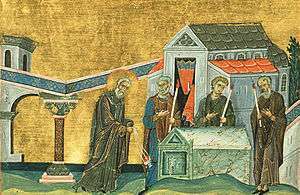 During the apostolic age, Christianity began to establish itself throughout the Mediterranean. However, a quite different Semitic Christian culture developed on the eastern borders of the Roman Empire and in Persia. Syriac Christianity owed much to preexistent Jewish communities and the Aramaic language. This language was spoken by Jesus, and, in various modern Eastern Aramaic forms is still spoken by the ethnic Assyrian Christians in Iran, northeast Syria, southeast Turkey and Iraq today (see Assyrian Neo-Aramaic, Chaldean Neo-Aramaic and Senaya language). From Persian ruled Assyria (Assuristan), missionary activity spread Eastern Rite Syriac Christianity throughout Assyria and Mesopotamia, and from there into Persia, Asia Minor, Syria, the Caucasus and Central Asia, establishing the Saint Thomas Christians of India and the Nestorian Stele and Daqin Pagoda in China. Early Christian communities straddling the Roman-Persian border were in the midst of civil strife. In 313, when Constantine I proclaimed Christianity to be a tolerated religion in the Roman Empire, the Sassanid rulers of Persia adopted a policy of persecution against Christians, including the double-tax of Shapur II in the 340s. Christians were feared as a subversive and possibly disloyal minority. In the early 5th century official persecution increased once more. 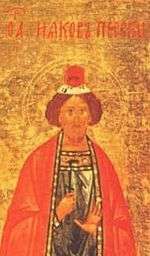 However, from the reign of Hormizd III (457–459) serious persecutions grew less frequent and the church began to achieve recognised status. Through the Battle of Avarayr and the out coming treaty for example, the empire's large amount of Armenian subjects gained the official right to profess Eastern Christianity freely. 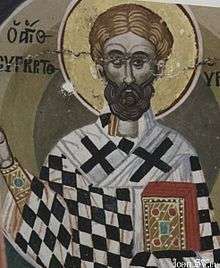 Political pressure within Persia and cultural differences with western Christianity were mostly to blame for the Nestorian schism, in which the Church of the East was labelled heretical. 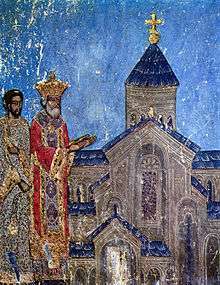 The bishop of the capital of the Sassanid Empire, Ctesiphon, acquired the title first of catholicos, and then patriarch completely independent of any Roman/Byzantine hierarchy. Persia is considered by some to have been briefly officially Christian. Khosrau I married a Christian wife, and his son Nushizad was also a Christian. 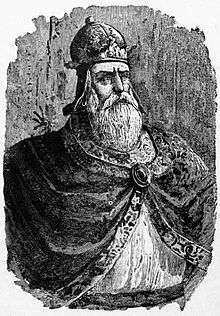 When the king was taken ill at Edessa a report reached Persia that he was dead, and at once Nushizad seized the crown and made the kingdom Christian. Very soon the rumour was prove false, but Nushizad was persuaded by persons who appear to have been in the pay of Justinian to endeavour to maintain his position. The action of his son was deeply distressing to Khosrau; it was necessary to take prompt measures, and the commander, Ram Berzin, was sent against the rebels. In the battle which followed Nushizad was mortally wounded and carried off the field. 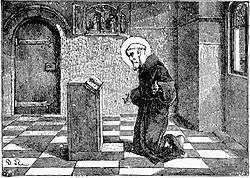 In his tent he was attended by a Christian bishop, probably Mar Aba I, and to this bishop he confessed his sincere repentance for having taken up arms against his father, an act which, he was convinced, could never win the approval of Heaven. Having professed himself a Christian he died, and the rebellion was quickly put down. Many old churches remain in Iran from the early days of Christianity. 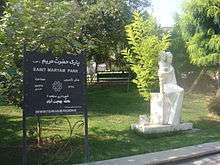 The Assyrian Church of Mart Maryam (St. Mary) in northwestern Iran, for example, is considered by some historians to be the second oldest church in Christendom after the Church of Bethlehem in the West Bank. A Chinese princess, who contributed to its reconstruction in 642 AD, has her name engraved on a stone on the church wall. The famous Italian traveller Marco Polo also described the church in his visit. The Arab Islamic conquest of Persia, in the 7th century, was originally beneficial to Christians as they were a protected minority under Islam. However, from about the 10th century religious tension led to persecution once more. The influence of European Christians placed Near Eastern Christians in peril during the Crusades. From the mid-13th century, Mongol rule was a relief to Persian Christians until the Mongols adopted Islam. The Christian population gradually declined to a small minority. Christians disengaged from mainstream society and withdrew into ethnic ghettos (mostly Assyrian Aramaic and Armenian speaking). Persecution against Christians arose again in the 14th century; when the Muslim warlord of Turco-Mongol descent Timur (Tamerlane) conquered Persia, Mesopotamia, Syria, and Asia Minor, he ordered large-scale massacres of Christians in Mesopotamia, Persia, Asia Minor and Syria. Most of the victims were indigenous Assyrians and Armenians, members of the Assyrian Church of the East and Orthodox Churches. In 1445, a part of the Assyrian Aramaic-speaking Church of the East entered into communion with the Catholic Church (mostly in the Ottoman Empire, but also in Persia). This group had a faltering start but has existed as a separate church since the consecration of Yohannan Sulaqa as Chaldean Patriarch of Babylon in 1553 by the pope. 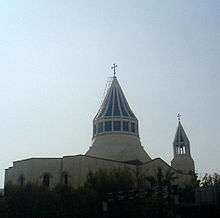 Most Assyrian Catholics in Iran today are members of the Chaldean Catholic Church. The Aramaic-speaking community that remains independent is the Assyrian Church of the East. Both churches now have much smaller memberships in Iran than the Armenian Apostolic Church. The number of Christians in Iran was further significantly boosted through various policies of the subsequent kingdoms that ruled from 1501. For example, in 1606 during the Ottoman-Safavid War (1603-1618), king Abbas I resettled some 300,000 Armenians deeper within modern-day Iran, as well as establishing their own quarter in the then-capital Isfahan, which is still largely Christian Armenian populated some 4 centuries later; the New Julfa district. 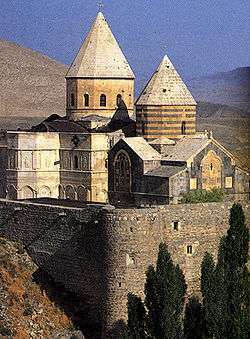 Other hundreds of thousands of Christian Georgians and Circassians were furthermore deported and resettled during the same Safavid era up to including the Qajar era within Iran, although both communities are exclusively Muslim nowadays. 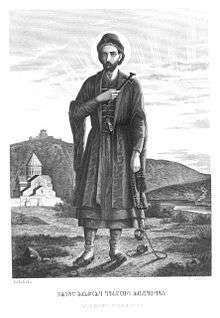 In the 18th and 19th centuries, Protestant missionaries began to evangelize Persia. Work was directed towards supporting the extant churches of the country while improving education and health care. Unlike the older, ethnic churches, these evangelical Protestants began to engage with the ethnic Persian Muslim community. Their printing presses produced much religious material in various languages. Some Persians subsequently converted to Protestantism and their churches still exist within Iran (using the Persian language). In the early 20th century, once again Iran's stable and extant Christian population was boosted now due to the effects of the Assyrian Genocide and Armenian Genocide, as many tens of thousands of refugees poured in. However, both massacres drastically negatively affected Iran's Christian population as well as the Ottoman troops crossed the Iranian border in the later stages of World War I, and massacred many tens of thousands of Armenians and Assyrians within Iran's borders as well, especially in West Azerbaijan Province, but also adjacent provinces. Vibrant, huge and millennia old native Christian communities in these parts of Iran were virtually shattered by the Ottoman actions, being reduced from formerly composing majorities in some of the regions, to a very little though noticeable surviving community. Prior to World War I and the Assyrian Genocide, Urmia was for some 40-50% Christian, as an example. Nowadays, this number for the same city lies at 1-2%. 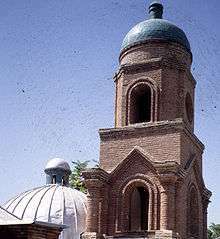 The Russian Church of Qazvin. In 1976, the census reported that the Christian population of Iran holding citizenship there numbered 168,593 people, with most of them being Armenians. Due to the Iran-Iraq war in the 1980s and the dissolution of the Soviet Union in the 1990s, almost half of the Armenians migrated to the newly independent Republic of Armenia. However, the opposite trend has occurred since 2000, and the number of Christians with Iranian citizenship increased to 109,415 in 2006. At the same time, significant immigration of Assyrians from Iraq has been recorded due to massacres and harassment in post-Saddam Iraq. However, most of those Assyrians in Iran do not have Iranian citizenship, and therefore aren't included in the data. In 2008, the central office of the International Union of Assyrians was officially transferred to Iran after being hosted in the United States for more than four decades. The government guarantees the recognized Christian minorities a number of rights (production and sale of non-halal foods), representation in parliament, special family law etc. According to US-based Barnabas Fund government intrusion, expropriation of property, forced closure and persecution, particularly in the initial years after the Iranian Revolution, have all been documented. Iranian Christians tend to be urban, with 50% living in Tehran. Christianity is reportedly the fastest growing religion in Iran with an average annual rate of 5.2%, and it remains the second-largest non-Muslim minority religion in the country. Beginning in the 1970s some Protestant pastors started to hold church services in homes in Persian, rather than in one of the ethnic Christian minority languages (Armenian, Syriac). 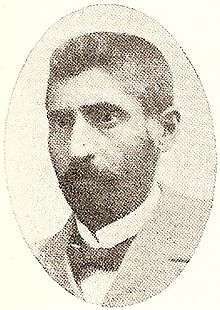 One of the key leaders who spearheaded this movement was the Assemblies of God bishop Haik Hovsepian Mehr. Worshiping in homes, rather than in church buildings, and utilizing the national language (Persian) which was spoken by all Muslims, combined with dissatisfaction at violence connected to the Iranian Revolution led to substantial numbers of Iranian Muslims departing Islam and converting to Christianity. This took place both within Iran and abroad, among the Iranian diaspora. After the Iranian Revolution, Christians in Iran were not allowed to proselytize or evangelize Muslims. Muslims who change their faith to Christianity, are subject to societal and official pressure, which may lead to death penalty. However, there are cases in which a Muslim will adopt the Christian faith, secretly declaring his/her conversion. In effect, they are practising Christians, but legally Muslims; thus, the statistics of Iranian Christians does not include Muslim converts to Christianity. Youcef Nadarkhani, an Jammiat-e Rabbani pastor allegedly "sentenced to death for refusing to recant his faith". And more recently the Iranian-American pastor and former Muslim Saeed Abedini, who in 2013 was sentenced to eight years prison, allegedly "Helped to build the country’s underground Christian church network". However, Iranian official sources has described such claims as "propaganda". There are some officially recognized ethnically Iranian Christian communities however, as the descendants of Muslims who converted to Protestant Christianity in 19th century were exempted from the laws passed in 1979. Apostasy of other religious minorities (Zoroastrians, Jews, Bahá'ís) to Christianity is also banned by Sharia law of Iran. However, there are cases in which a Zoroastrian, Jew, or Bahá'í will adopt the Christian faith, secretly declaring his/her conversion. In effect, they are practising Christians, but legally Zoroastrians, Jews, or Bahá'ís; thus, the statistics of Iranian Christians does not include Zoroastrian, Jew, or Bahá'í conversions to Christianity. There are Satellite networks like Mohabbat TV and Sat7Pars that distribute educational and encouraging programs for Christians, especially targeting Persian speakers. Some Christian ex-Muslims emigrate from Iran for educational, political, security or economic reasons. Christianity is reportedly the fastest growing religion in Iran with an average annual rate of 5.2%. A 2015 study estimates between 100,000 and 500,000 Christian believers from a Muslim background living in Iran, most of the evangelical Christians. Armenian and Assyrian Christians use Bibles in their own languages. Multiple Persian translations and versions of the Bible have been translated in more recent times. Portions of the Bible are translated into Azeri (New Testament, Jesus Film), Mazanderani (portions), Gilaki (Gospel of John, Story of Joseph, Jesus Film), Bakhtiari (portions, Jesus Film), Luri (portions, Jesus Film) and Kurdish (the Gospels). Gillman, Ian and Hans-Joachim Klimkeit, Christians in Asia before 1500, Ann Arbor, MI: University of Michigan Press, 1999. Moffett, Samuel Hugh, A History of Christianity in Asia: Beginnings to 1500, San Francisco, Harper and Row, 1992.
www. Irankelisa.com Virtual Iranian seminary for Christians residing in Iran. www. gilakmedia.com Gilak Media – Digital Scripture in Video, Audio and Print form in the Gilaki language. ↑ "In Iran, 'crackdown' on Christians worsens". Christian Examiner. Washington D.C.: Christian Examiner. April 2009. Retrieved 1 December 2009. ↑ Price, Massoume (December 2002). "History of Christians and Christianity in Iran". Christianity in Iran. FarsiNet Inc. Retrieved 1 December 2009. ↑ "In Iran, 'crackdown' on Christians worsens". Christian Examiner. Washington D.C.: Christian Examiner. April 2009. Retrieved 19 March 2015. ↑ Rezvani, Babak (Winter 2009). "The Fereydani Georgian Representation". Anthropology of the Middle East. 4 (2): 52–74. doi:10.3167/ame.2009.040205. ↑ Cate, Patrick; Dwight Singer (1980). "A Survey of Muslim Converts in Iran": 1–16. ↑ University of Maryland “Minorities at Risk” Project. Assessment for Christians in Iran. Page dated 31 December 2006. Assessed on 9 October 2011. ↑ "Religion and Religious Freedom". Archived from the original on 2 April 2015. Retrieved 19 March 2015. ↑ Miller, Duane Alexander (2015). "Power, Personalities and Politics: The Growth of Iranian Christianity since 1979". Mission Studies. 32 (1): 66–86. Retrieved 18 August 2015. ↑ Muslims Are Turning to Christianity in Iran!! ↑ Banks, Adelle M. (28 September 2011). html&title=Iranian%20Pastor%20Youcef%20Nadarkhani's%20potential%20execution%20rallies%20U. S.%20Christians "Iranian Pastor Youcef Nadarkhani's potential execution rallies U.S. Christians" Check |archiveurl= value (help). The Washington Post. Archived from the original on 7 October 2011. Retrieved 5 October 2011. Religious freedom advocates rallied Wednesday (Sept. 28) around an Iranian pastor who is facing execution because he has refused to recant his Christian faith in the overwhelmingly Muslim country. ↑ "Iran's Oppressed Christians". New York Times. 14 March 2014. Retrieved 28 June 2014. ↑ Miller, Duane Alexander (October 2009). "The Conversion Narrative of Samira: From Shi'a Islam to Mary, her Church, and her Son" (PDF). St Francis Magazine. 5 (5): 81–92. ↑ Miller, Duane Alexander (April 2012). 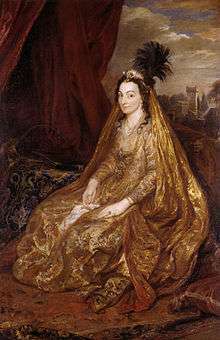 "The Secret World of God: Aesthetics, Relationships, and the Conversion of 'Frances' from Shi'a Islam to Christianity" (PDF). Global Missiology. 9 (3). ↑ Nasser, David (2009). Jumping through Fires. Grand Rapids: Baker. ↑ Rabiipour, Saiid (2009). Farewell to Islam. Xulon. ↑ "Religion and Religious Freedom". Retrieved 19 March 2015.